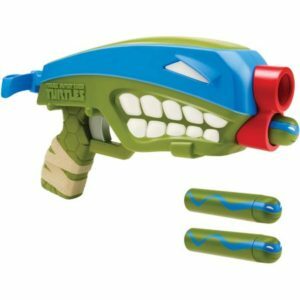 Expect to pay around $20-$25 for this particular Quad Blaster. There are other blasters in the range that will vary in cost. The collectable extra ammunition packs cost around $13 for 10 shells. 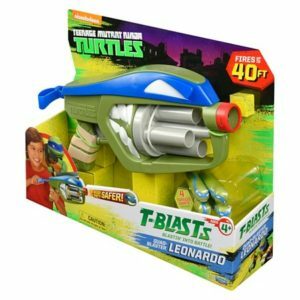 Any Teenage Mutant Ninja Turtle fan will be happy to receive one of these blasters as a gift. Especially fans of the Leonardo character. The manufacturers recommended age range is from 3-15 years old. 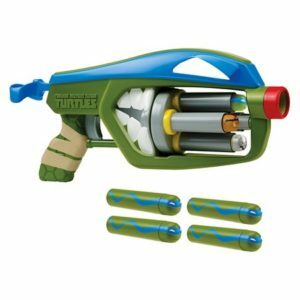 I’d say that teenage children might find the gun a little young for them unless they are big Ninja Turtle fans and want it as a collector’s toy. $20 is a reasonable price for the product, if your kid is a big Turtles fan then yes. 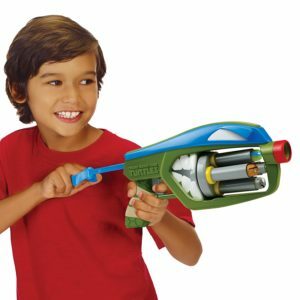 If they aren’t but you think they will like similar blaster guns then check out some other brands such as Nerf. The foam darts should be fine for indoor and outdoor play so is great for the summer or winter months, so your kids should get plenty of usage out of it.